So the back half of the Rena finally slipped beneath the waves today, three months after it ran aground on a reef off Tauranga, spilling more cargo and oil into the Bay of Plenty; and in one of those coincidences that the TV newsreaders like so much because it means they don't have to strain over their segues, a ship in port at Christmas Island was damaged in a storm and is now releasing its phosphates cargo and oil into the Indian Ocean. 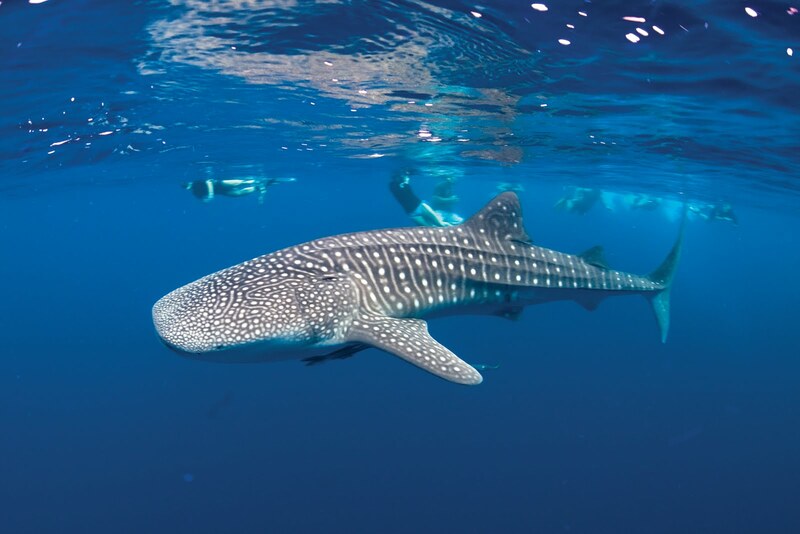 The particular problem with this one is that the pollution it's causing is likely to endanger the whale sharks that will be arriving there soon to feed on crab spawn. And that's awful, because whale sharks are such splendid creatures - beautiful, impressive, immense, mysterious, harmless - and it's a miserable thought that their numbers may be reduced through more human incompetence and carelessness. Swimming with them at Ningaloo Reef in Western Australia was far more exciting than the silly buzz of being tipped backwards off a platform into a 60 metre free-fall: seeing something that huge, that lives in another world entirely, glide into mine for even just a few minutes, was a total thrill and completely unforgettable, and as I said in the story I wrote about it, it left me feeling fiercely protective of whale sharks. Especially my one, A-708, which I registered afterwards with the Ecocean Whale Shark Photo ID Library, and check up on periodically, to see if anyone else has spotted it around the world. That's one of the best things about travel: when you've been somewhere, seen something, done something, afterwards you always have an interest, a connection, that makes watching the news or reading the paper or just eavesdropping on conversations so much more real. It's a bit like leaving school and finally - eventually - putting to practical use some of the stuff you learned there. But so much more fun! I didn't know about the incident, but now I really hope that nothing bad is going to happen to those poor whales...I never swam with them, but I would like to someday. You must! It's a brilliant day out, and you'll be able to boast about it for ever after.